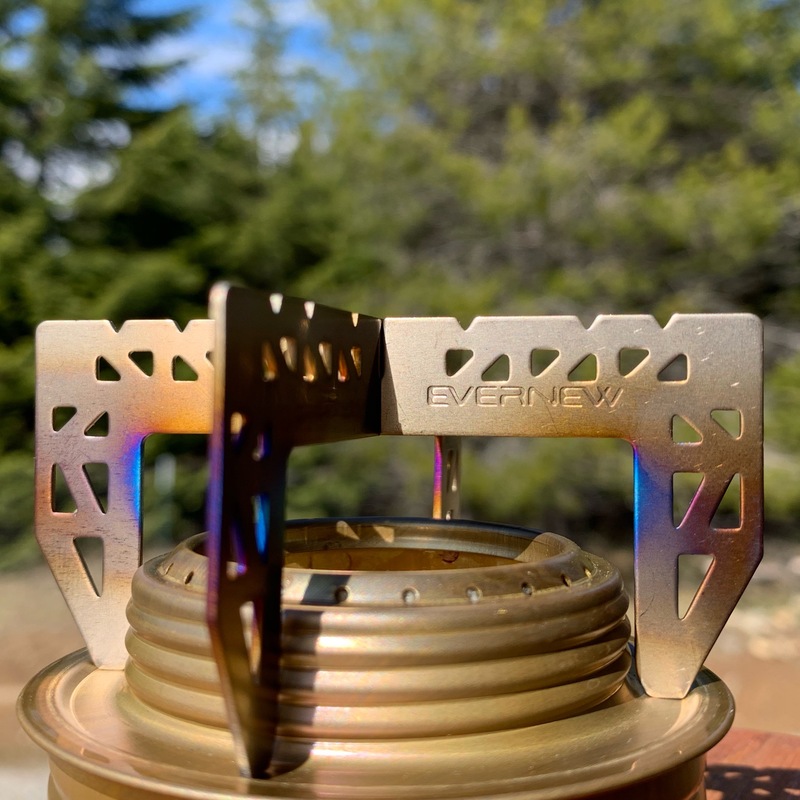 I’ve been using my Trangia Spirit Burner (alcohol stove) for a while now based on the recommendation of the folks at Hill People Gear. In the time I have used it, I have tried several pot stands and haven’t really been over the moon about any of them. The biggest problem is that they are often too large for use with a small pot. They also often too bulky or inefficient due to placing the pot too close to the jets. A friend recommended the Evernew Cross Stand which is an “X” shaped stand made from titanium that is designed to sit on top of the Trangia (or Evernew Alcohol Burner). However, I found that it sat too low on the Trangia. Fortunately, Evernew makes a second version, the Cross Stand 2, that sits higher and places the bottom of the pot about 1″ above the jets. My experience with the Cross Stand 2 has been excellent. It weighs less than an ounce as you might expect for something made of thin titanium with plenty of skeletonization cuts. It packs completely flat and should fit inside just about any mess kit. It’s height allows for a very efficient burn and it is really optimized for solo cook pots or nesting cups. I pair it with a simple aluminum foil wind screen to further optimize efficiency. You are like to find even lower prices if you shop around. Pine needle tea is easy to make, tastes great, is good for you, and it might be growing all around you. It is one my favorite hot drinks on the trail when it is too late for coffee (if that is even a thing). You can make it from a number of conifers but Douglas Fir is my favorite. 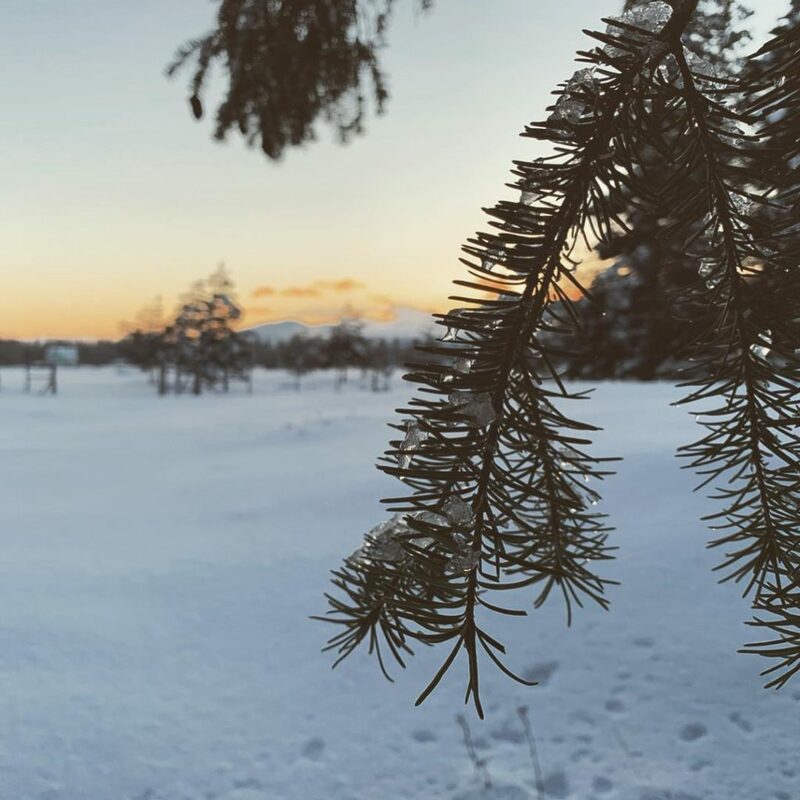 There are some needles that should be avoided like Ponderosa Pine but it is really up to you to know your area and which trees are safe. It is easy to make. Just gather your needles. You may need to trim the bases off if they are extra sticky or woody at the base. Bring water to a boil and then take it off the heat. Add your needles and steep to taste. I always advise not boiling the needles because it can bring out a sort of turpentine taste. Arm yourself with a bit of knowledge and then give it a try. Even if you aren’t a coffee snob, you’ll probably appreciate the WoodKnot Gear 750ml Titanium Cup with Press. 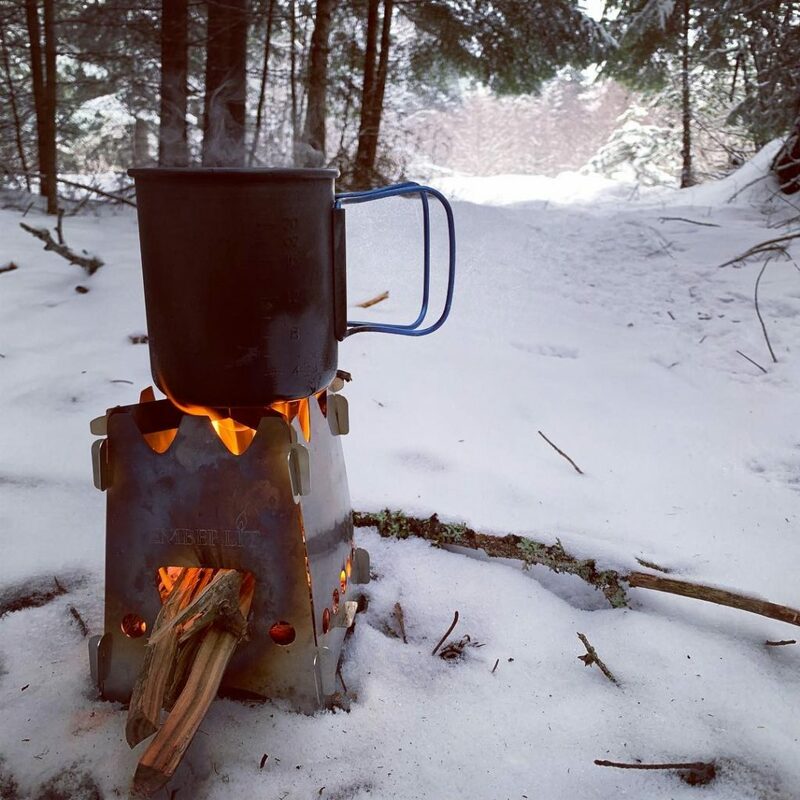 A lot of people carry a lightweight cup to serve as their cook pot and cup when they are in the back country. A lot of those same people also carry some method of preparing coffee. The WoodKnot Gear Cup with Press can fill both of those roles! The kit consists of 4 parts that can be mixed and matched to suit your needs: Titanium Cup, Titanium Lid with Press (the lid and press can be separated), Plastic Drinking Lid, and Mesh Stuff Sack. The total weight for everything is 10.1 ounces. The titanium cup looks very well designed on its own. It has the three features that I consider necessary for a cup like this: graduated volume markings, ability to nest on a water bottle, and folding handles. It also has two features that are just really nice to have and harder to find on cups like this: a bail and a pour spout. If all that isn’t interesting enough, you have the built in (removeable) French Press. Having this built in saves weight and pack space over many other ways of making coffee on the trail. Lynx Defense has released a new vehicle based IFAK. The new Goby IFAK is an 8″ x 6″ x 3″ IFAK pouch with internal elastic organization and a PALS webbing face. 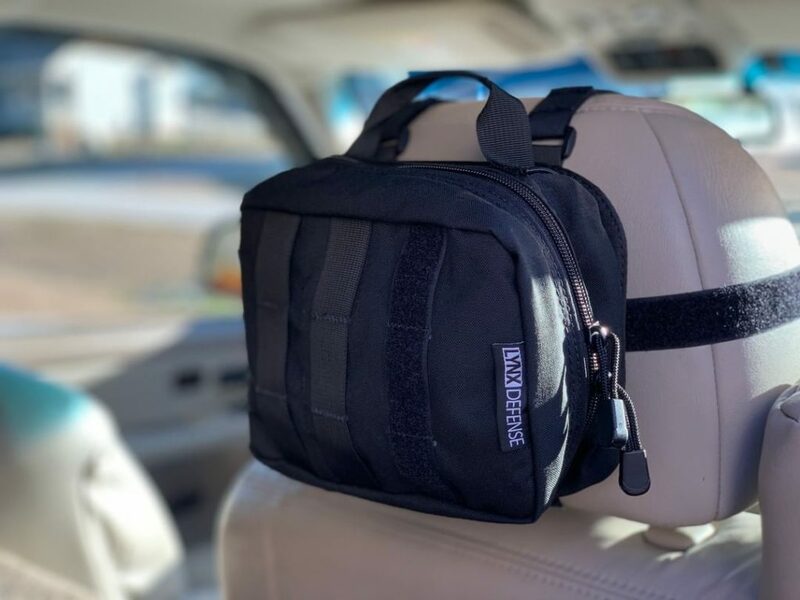 It comes with a universal headrest mount that allows the pouch to be mounted on most vehicle headrests. The pouch portion of the Goby is affixed to the mount via hook and loop so that it can be quickly removed should you need to access the contents of the pouch or hand it off to someone. 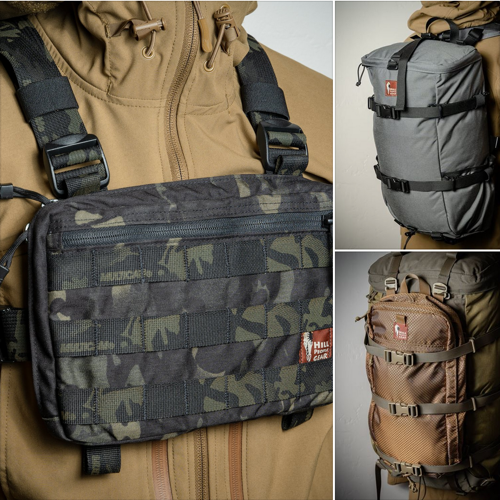 Hill People Gear (HPG) has released the details of their new Decker Pack Frame. The Decker is built on the same proven frame used in the Ute and qui-Ya backpacks but with the adaptability of a pack frame. The Decker features an array of 8 compression straps (3 on each side and 2 on top) and a central compression yoke that serves as a hub for attaching the side compression straps. 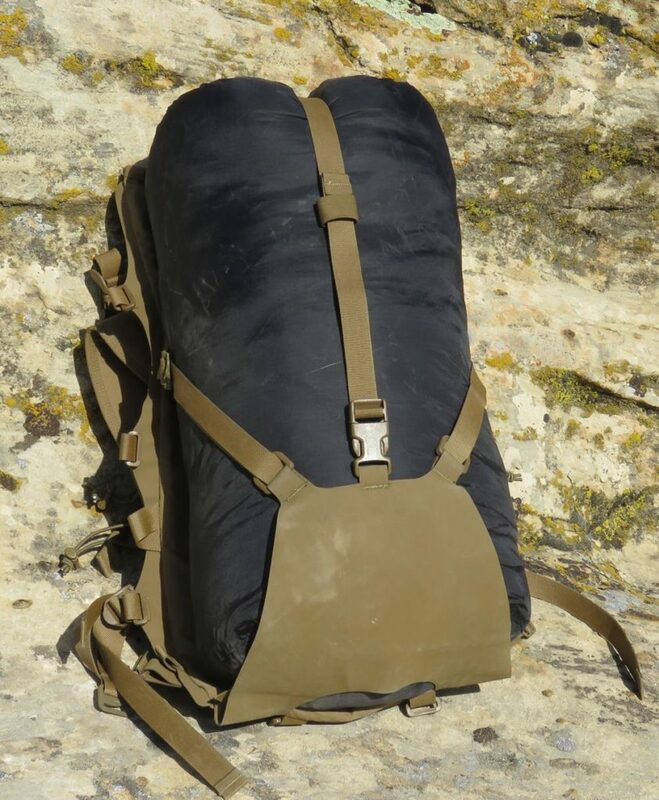 This yoke is easily replaced with an HPG pocket or pack like the Tarahumara, Tarapocket, Palspocket, and similar. The Decker Pack Frame also features a hypalon capture flap/shelf that can be tied into the frame in multiple locations. The applications for a relatively lightweight but still very robust pack frame like this are many and varied. 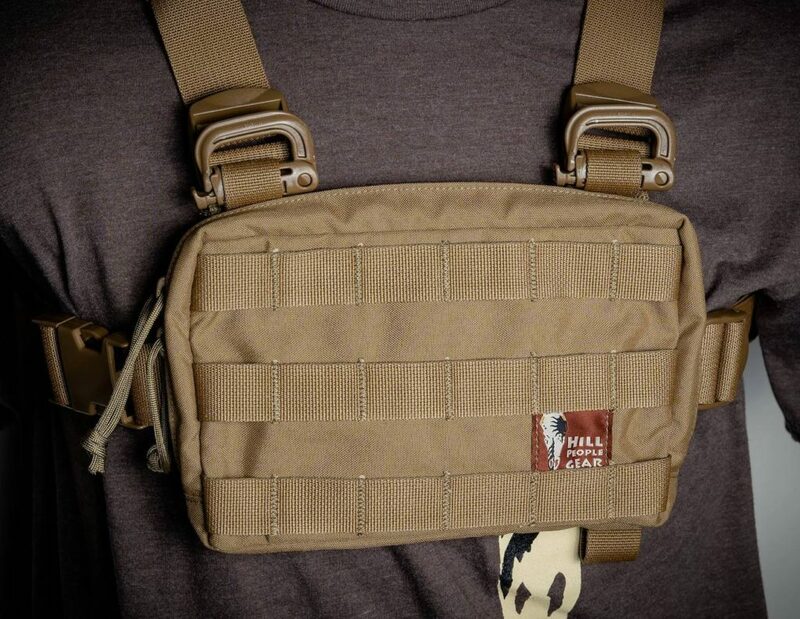 HPG states that it can handle everything from awkward loads like jerry cans to multi-day loadouts. It can also be coupled with something like a large ultra-light dry bag to create a very lightweight pack system (less than 4 pounds). You can expect to see HPG continue to develop the Decker Pack Frame into an entire load carriage system by introducing other accessories designed to work with the frame. 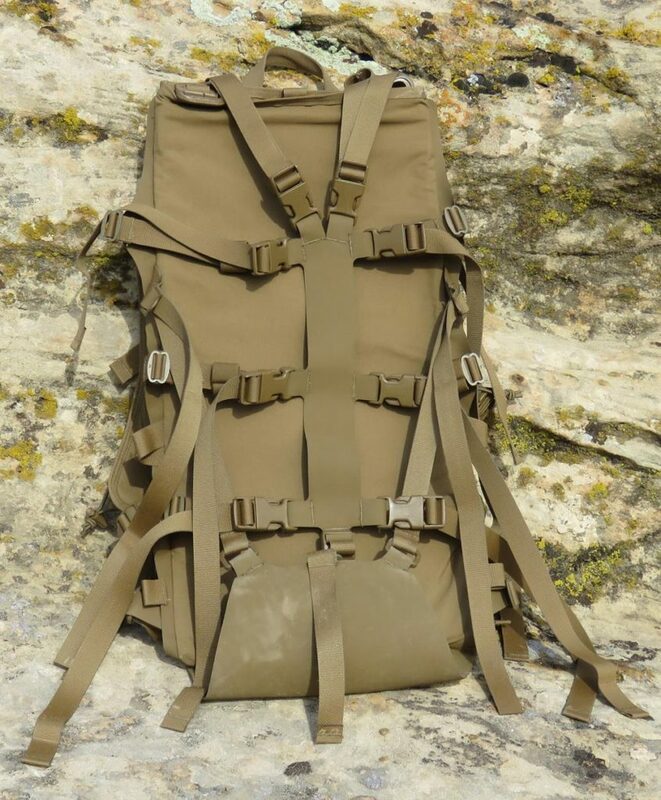 One accessory already in the works is a Decker Pocket that will be a large capacity pocket with a sewn in hypalon yoke that docks in place of the Decker Pack Frame’s included yoke. The Decker Pack Frame will be available soon (it is already listed on the website but not available to purchase). 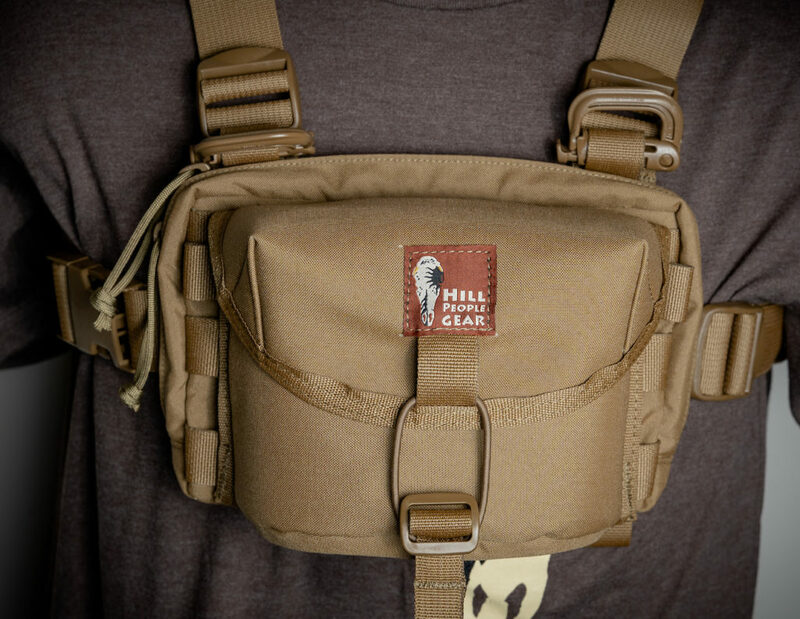 You can sign up for email notifications at Hill People Gear. What if I told you there was an aluminum mug/cook pot that rivaled titanium cups for weight, performed better than Ti for cooking, and costs less than half of a similarly sized Ti cup? That cup is the Olicamp Hard Anodized Aluminum Space Saver Cup and it is one of my favorite pieces of gear. Olicamp’s Space Saver mug has been around for a long time in various forms. It is so called because of its ability to nest on the bottom of wide mouth Nalgene bottles (and other bottles of similar size). I have used (and still use) a stainless steel version for years. Olicamp also offers a bare aluminum version but the pick of the litter is the Hard Anodized Aluminum version. Most 24oz/750ml single wall Ti mugs weigh in at around 3.2 – 3.3 ounces and cost $35 or more. The Olicamp Hard Anodized Aluminum Space Saver Mugs weighs in at 3.6 ounces and costs less than $15. Best of all, you actually get some functionality for that extra 3/10ths of an ounce so the slight weight increase can be justified. Aluminum cookware transfers heat more readily and heats more evenly than Ti cookware. The hard anodized finish is durable and relatively non-stick (not quite like a true non-stick finish but better than bare metal). Finally, the Olicamp Space Saver has longer and larger butterfly handles than most Ti cups. These handles are handy when you are heating with a fuel source like wood or solid fuel tablets that often allow the flame to lick up around the sides of the cup. This cup can obviously serve as well… a cup, but it is actually an excellent cook pot complete with volume markings which are handy for cook dehydrated foods. 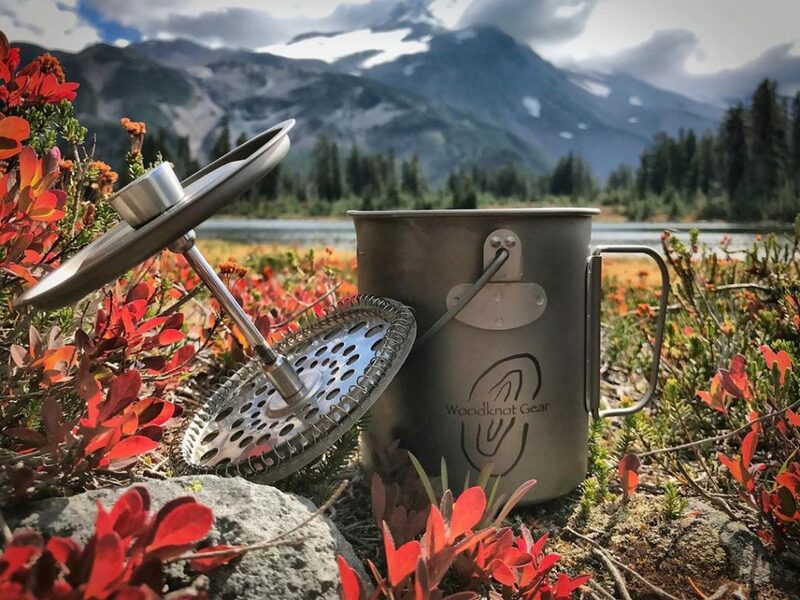 It can be paired with lightweight stoves or solid fuel burners to make a truly compact and lightweight hiking mess kit. I can fit my ultralight Esbit burner, foil for a windscreen and ground sheet, and few solid fuel tabs inside the cup for a sub 7 ounce 3 season cookset. You’ll want a lid to maximize the usefulness of this cup for cooking. Olicamp offers a lid for this cup at a reasonably price but you can also pick up aftermarket lids. One very reasonable option is the lid from the Stanley Adventure Camp Cookset (on Amazon) which is another great bargain in its own right. Finally, you can easily make your own lid with heavy duty aluminum foil, a pie tin, or any other suitable material. This is an excellent piece of gear. Check out the Olicamp Hard Anodized Aluminum Space Saver Cup on Amazon. Bushcraft Outfitters’ Koretemp line of lightweight, modular, multi-use shelter components is about to receive a very interesting addition – the Koretemp Hooded Poncho Liner. This insulated poncho liner has features that make it extremely versatile as both a stand-alone insulation layer or for enhancing your existing outdoor kit. 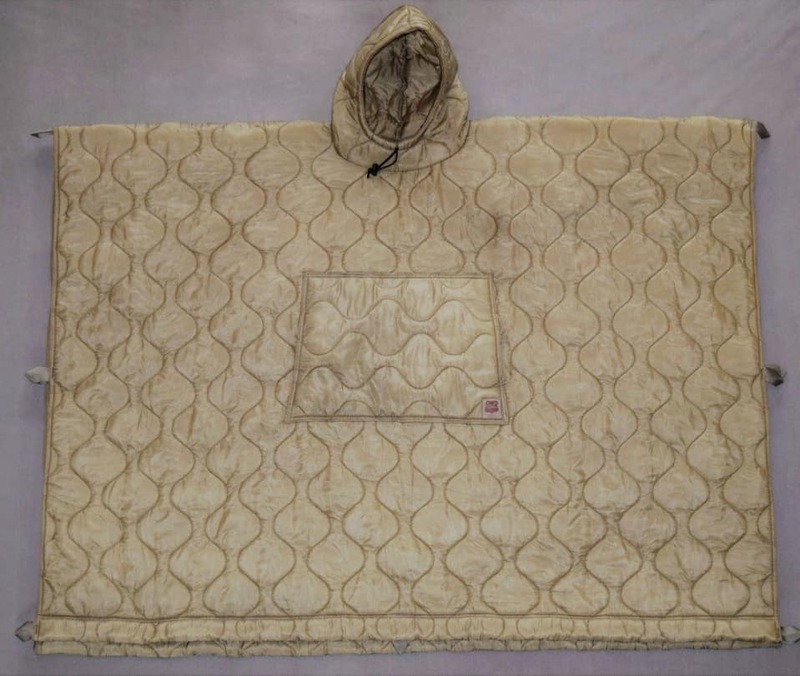 The Koretemp Hooded Poncho Liner is made in the USA from from mil-spec quilted batting faced by coyote fabric, webbing, and thread. It weighs 40 ounces and is 62″ by 93″. It has an integrated hood with drawstring closure, a sewn in chest pocket, and 2″ channels at the top and bottom that can be used to close the ends into a foot box. All of those features mean that the Koretemp Hooded Poncho Liner can be used in a number of ways. You can cinch up the hood and a foot box to use it like a warm weather top quilt (like a sleeping bag). 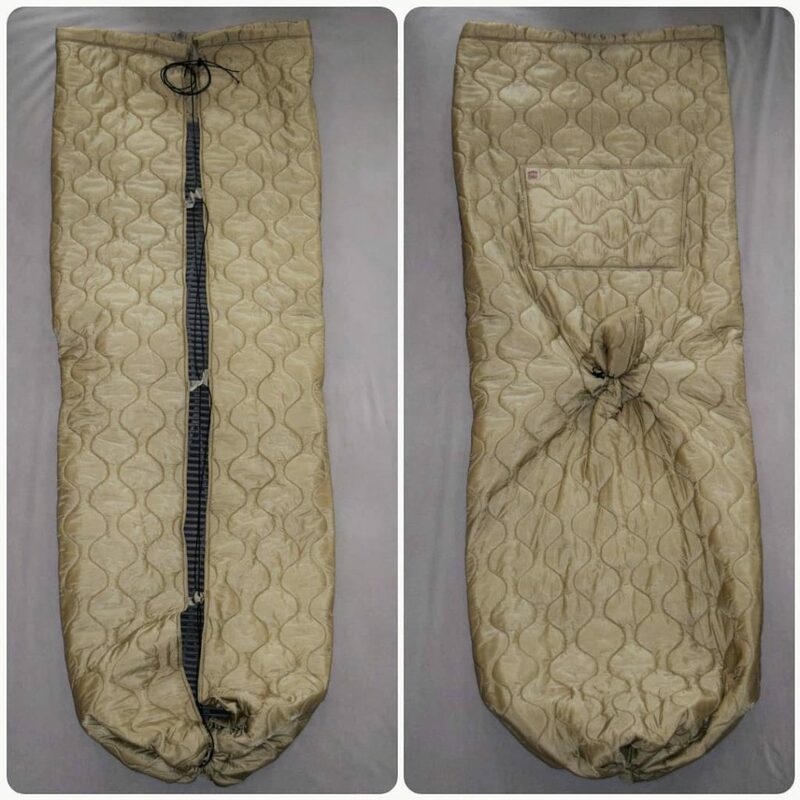 It can be used inside the Koretemp Poncho as an insulated bivy or hung over head to protect from the heat of the sun. 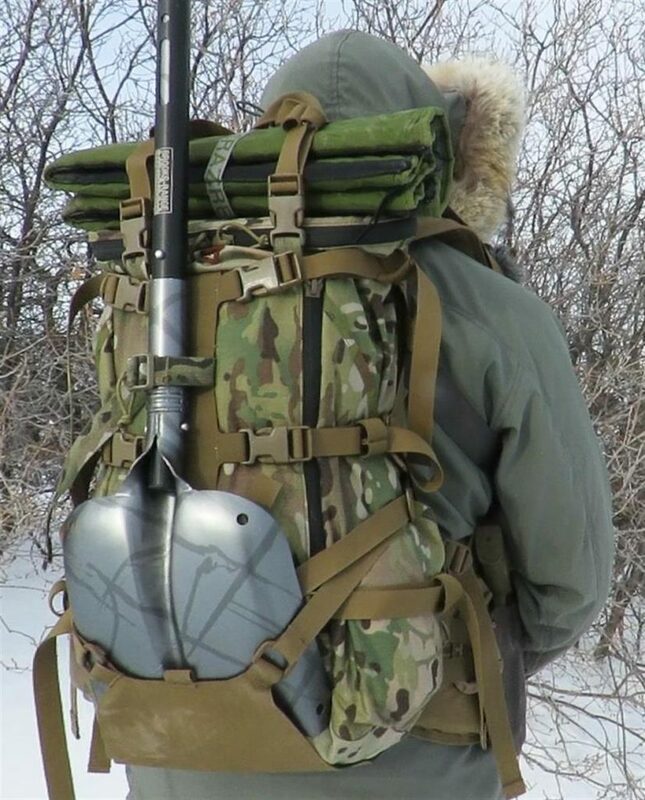 It can be used as an insulation layer that can be quickly be donned over your thinner shell layer and pack when you take breaks on the trail or stop to glass for game. Even if you already have a well sorted out sleep system, the Koretemp Hooded Poncho Liner can serve to increase the temperature rating of your sleeping bag. Regular poncho liners are already very useful as I am sure you are already aware. With the addition of a few thoughtful features, Bushcraft Outfitters has taken that concept to the next level. 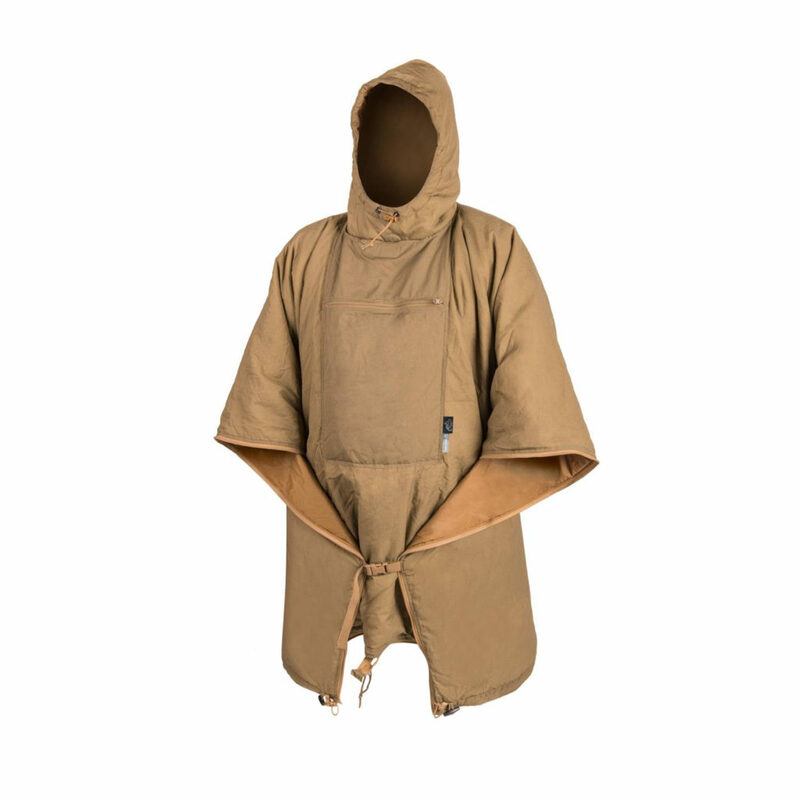 The Koretemp Hooded Poncho Liner will be available soon (and will likely sell out fast) at BushcraftOutfitters.com.